Shri Lochana Dasa Thakura was a disciple of Shri Narahari Sarakara Thakura, a dearest associate of Lord Gaura Raya. 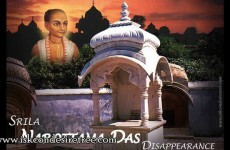 Lochana Dasa Thakura wrote Chaitanya Mangala which tells many pastimes of Lord Chaitanya not revealed by Vrindavana Dasa Thakura or Krishna Dasa Kaviraja. He mentions an especially touching conversation Shri Gaurasundara had with Vishnupriya Devi the night before He took sannyasa. Being a talented musician, Lochana Dasa told Mahaprabhu’s pastimes in beautiful poetry filled with fire and rhythm. 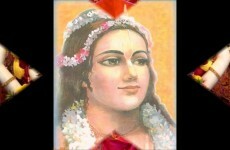 Common people could easily understand the divine character of Shri Chaitanya and awaken their religious feelings. As Devotees regularly chant the Vedic epics Ramayana and Mahabharata, Gaudiya Vaishnava’s still wander through Bengal reciting the Chaitanya Mangala. Lochana Dasa Thakura also wrote many songs praising Shri Chaitanya Mahaprabhu, Shri Nityananda Prabhu, and Gauridasa Pandit. 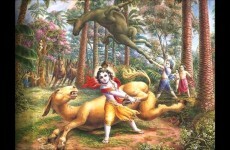 Lochana Dasa stresses that raganuga bhaktas must take shelter of Gadadhara Vrindavanishvari to attain Radha-Govinda prema bhakti. Shrila Bhaktisiddhanta Saraswati Thakura used to print and distribute Lochana Dasa Thakura’s Shri Chaitanya Mangala. Shrila Prabhupada was very fond of his bhajans. 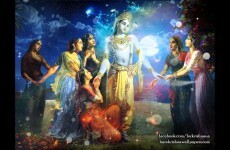 While singing Parama Karuna Shrila Prabhupada would plunge into the ocean of Gauranga prema. 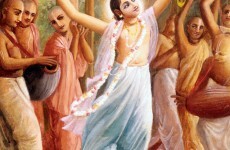 Prabhupada wrote an extensive commentary on this bhajana: Bhajo bhajo bhai, Caitanya Nitai, sudrdha visvasa kori … “Lochana Dasa asks everyone, ‘My dear brother, just worship Lord Chaitanya and Nityananda with firm faith and conviction.’ Don’t think that this chanting and dancing will not lead to the desired goal; it will. 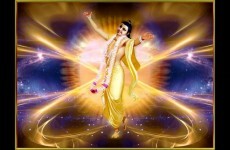 It is the assurance of Lord Chaitanya Mahaprabhu that one will get all perfection by this process. Therefore, one must chant with firm faith and conviction.” His samadhi is in 64 Samadhis Area.